UPDATED: Sat., Feb. 9, 2019, 11:24 p.m.
TEMPE, Ariz. – Romello White scored 17 points, Luguentz Dort added 15 and Arizona State handed Washington its first Pac-12 loss, 75-63 on Saturday night. Arizona State shot 62 percent against the Pac-12’s leader in field-goal percentage defense to overcome 24 turnovers and end Washington’s 12-game winning streak. White missed most of the second half of Thursday’s game with a leg injury, but showed no ill effects against Washington. He went 8 for 9 from the floor, helping the Sun Devils outscore Washington 42-20 in the paint. Washington (19-5, 10-1) clicked on all cylinders in a win against Arizona on Thursday, but sputtered through most of the trip’s second game. Arizona State’s NCAA Tournament resume took a hit the same night in an embarrassing 91-70 loss to Washington State, a team that had no road wins and the Pac-12’s second-worst record. Arizona State’s only first-half problem: turnovers. The Sun Devils had 13, seven on steals by the Huskies. The Sun Devils kept making shots to open the second half and Huskies kept missing. Huskies coach Mike Hopkins called a timeout less than a minute into the half, pounding his chest and yelling “Show some heart!” after no one boxed out White on a putback. 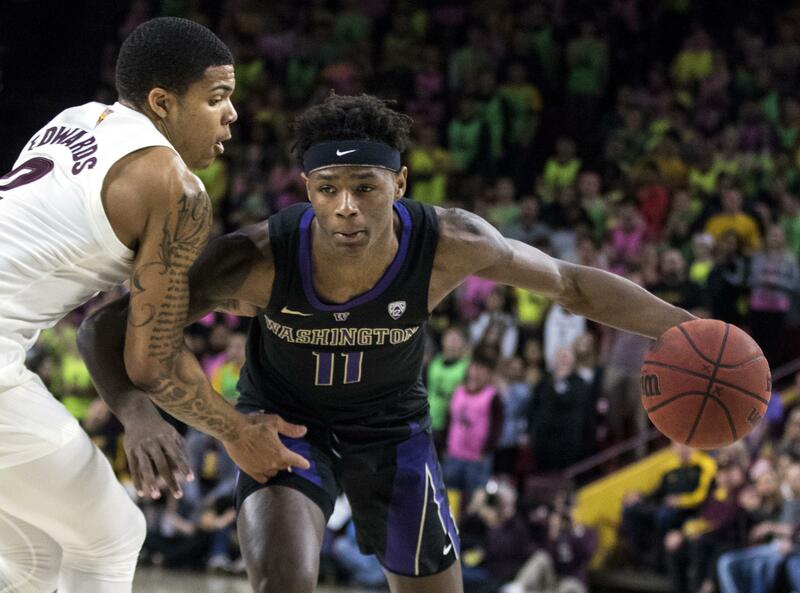 Washington went on a 10-0 run to get within 54-47 with about six minutes left, but Arizona State wouldn’t let the Huskies any closer and pulled out a much-needed victory. Published: Feb. 9, 2019, 9:40 p.m. Updated: Feb. 9, 2019, 11:24 p.m.